﻿ Tikal Knowledge - IZWebFileManager is a 2 million dollar project! IZWebFileManager is a 2 million dollar project! IZWebFileManager is a 2 million dollar project! 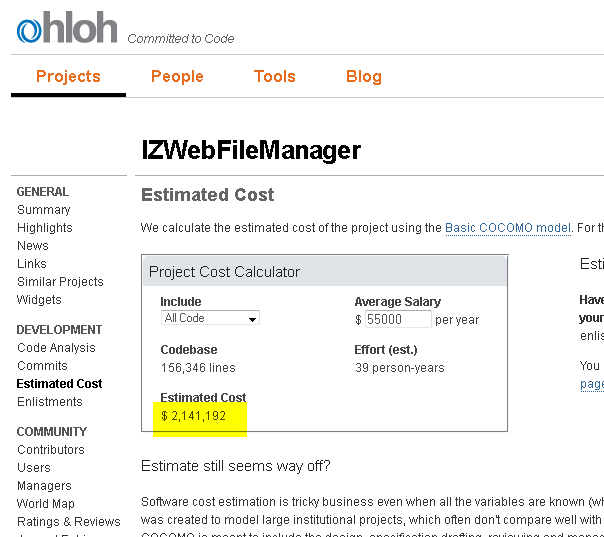 According to Ohloh, my open source web file manager project cost more then 2 million dollar! Is there someone who wants to buy?